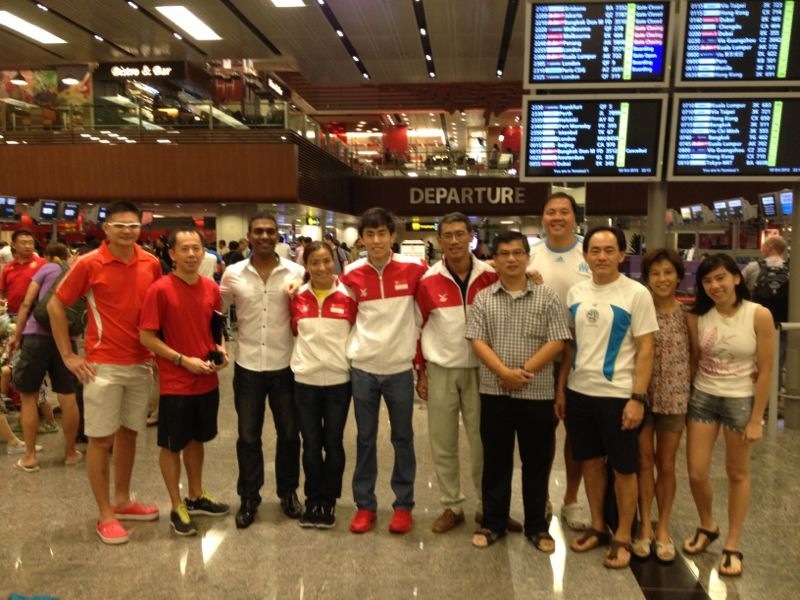 Anne Qi Hui and Soh Rui Yong, the Republic representative for the 2012 IAAF World Half Marathon departed for the competition yesterday. Mr. Steven Quek will serve as the Team Manager. Family members, friends, supporters and SAA staff was present at Changi Airport in the evening yesterday to bid our champions good luck and farewell as they prepare to take on the world. The duo is set to compete in the grueling 21.0975 kilometres running event on the 6th of October, the venue Kavarna, Bulgaria.